A team at Stanford Libraries has developed an open-source software program to help manage email archives. The package known as ePADD was released in July 2015 and is available for free. 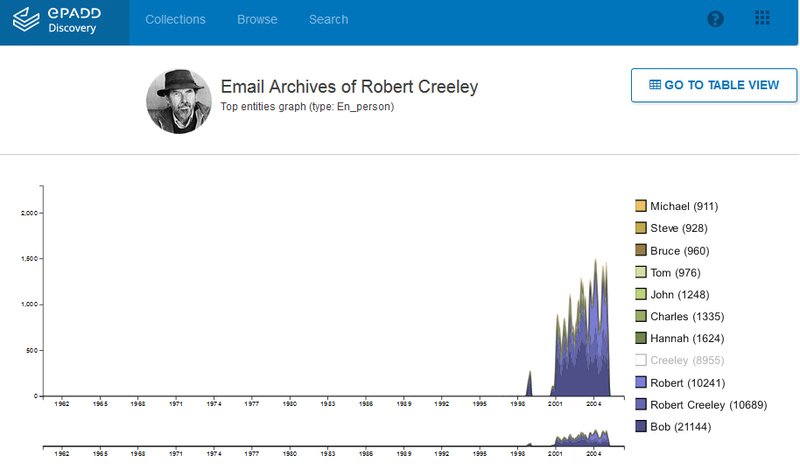 Digital archivists at Stanford have already used the program to grapple with the 150,000 emails in the archive of US poet and author Robert Creeley, which can now be searched online. The email messages from Creeley’s archive that have been made searchable using the ePADD Discovery Module. The ePADD package is able to search emails using various types of query approaches, includes graphical visualisations and is able to map out connections and networks among correspondents. Concerns over the privacy of donors and other correspondents have been accommodated through measures which will allow authors or donors using ePADD to search and filter their email archives. This ability to redact an email archive is expected to encourage more authors to donate their email archives, reassuring them that they have control of what is released to the public. An article published in the Wall Street Journal discusses this new software and the challenges faced by archivists dealing with questions surrounding email in the literary archives of Gabriel García Márquez, Ian McEwan, Susan Sontag and Salman Rushdie. The article concludes by pointing to future challenges in the online environment: having started to grapple with email archives of literary authors, how will the likes of Twitter and Facebook posts be captured and organised for future access? Gallery | This entry was posted in International perspectives, News and events and tagged digital archives, email archives, ePADD, Gabriel Garcia Marquez, ian mcewan, Robert Creeley, Salman Rushdie, Susan Sontag. Bookmark the permalink.